Real Queen of Horror | Long Live Horror! : POLAR Review: That One Scene with Dude's Balls! Ouch! POLAR Review: That One Scene with Dude's Balls! Ouch! Haven’t we all learned by now not to mess with Mads Mikkelsen? I mean, geez, we’ve seen him travel through dimensions in Marvel’s Doctor Strange, and witnessed his fine dinners of humans in NBC’s Hannibal. In his newest movie, we witness that he is still ready to gun down an attacker, knife a fellow employee, or drain the one-eyed serpent into a complete stranger. Polar, directed by Jonas Åkerlund, comes from the Victor Santos comic of the same name, and succeeds at bringing much of the original story to life. 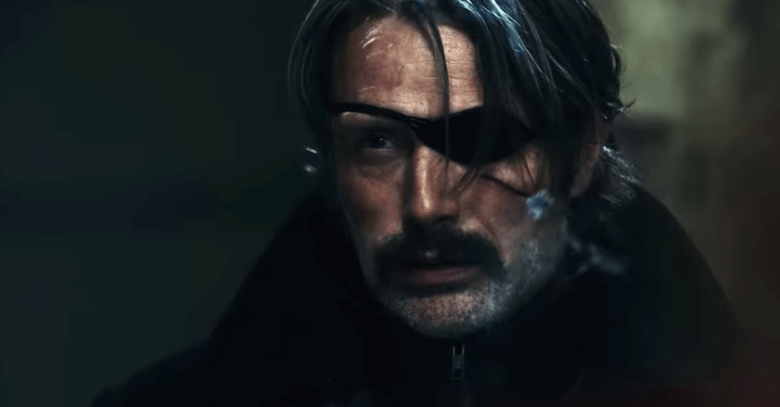 Duncan Vizla (Mads Mikkelsen) is two weeks away from his retirement as bounty hunter The Black Kaiser. But there is one last job he needs to do for his employer. Of course, this job isn’t as straightforward as the others, which were often simple “get in and get out” missions. And what makes it harder is that he has begun to settle into his retirement home, secluded in a remote town that will soon have a few dangerous visitors. I loved this movie, especially the surprise conclusion that left me wounded, in a good way. Plus, it was funny to watch my husband squirm at some of the awful stuff The Black Kaiser did to his victims. Let me just say he was very creative with scrotums.